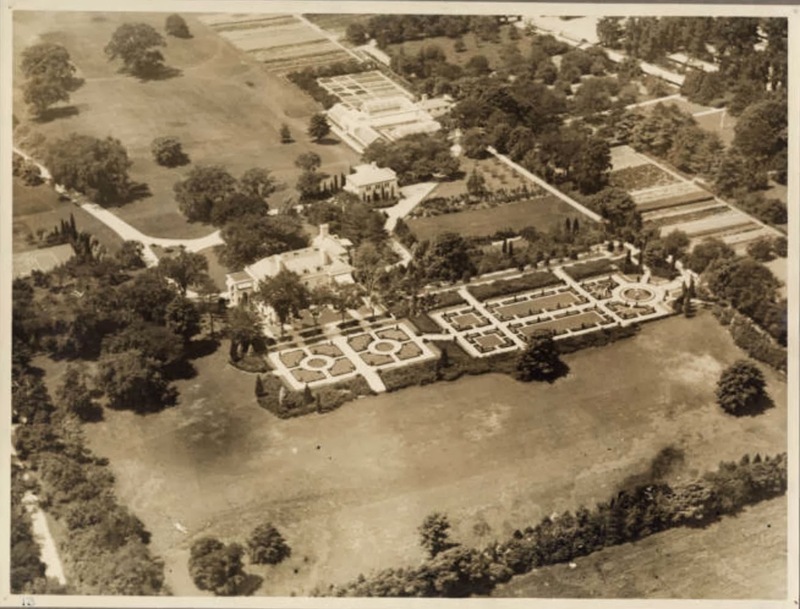 'Elm Court', the Edgar F. Luckenbach estate designed by Egerton Swartwout c. 1921. Click HERE to see a brochure from when 'Elm Court' was for sale. Photo from the Ryerson & Burnham Archives at the Art Institute of Chicago. Another wonderful aerial. All these contiguous estates, mile after mile of them on Long Island, it was an amazing era ~ now sadly gone, alas ! Keep 'em coming ! It is a wonderful picture. All that open space, chopped and diced and divided. One yearns for more sensitive developers. Speaking of Stanford White houses for sale (oh, we weren't? Well, we are now), there is a house for sale in Lenox MA that actually is by McKim, Mead & White (though altered). How often does that happen? About 1 listing in 500? Yes - these great aerials really show the sweep of it all! And, speaking of far flung houses for sale that have some tangential realtion - Ambrose Clark's Aiken house is for sale - Kellsboro House. Thanks for the link, Chip, so many photos. I always knew of that place as "Habersham House", though perhaps that was just the name its previous owner, Kenneth Schley of the Essex Hounds, bestowed upon it. He appears to have sold it to Brose two years after he built it, maybe he realized he spread himself too thin? Aiken has always fascinated me because with a few exceptions (W.R. Grace Jr.'s "Two Trees" and C. Oliver Iselin's "Hopelands") all the old estates exist in somewhat reduced circumstances, though most still as private residences. Yet the old guard deserted the place decades ago, and no newly-flush parvenus seem to have replaced them.